A new study by researchers from the University of Maryland and NASA indicates that China has greatly reduced its emissions of sulfur dioxide, while India’s emissions have risen dramatically. Sulfur dioxide (SO2) is an air pollutant that leads to acid rain, haze, and many health-related problems. It is primarily produced today through the burning of coal to generate electricity. Although China and India remain the world’s largest consumers of coal, the new research found that China’s sulfur dioxide emissions have fallen by 75 percent since 2007, while India’s emissions have increased by 50 percent. 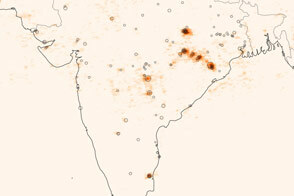 The results suggest that India may soon become, if it is not already, the world’s top emitter of sulfur dioxide. 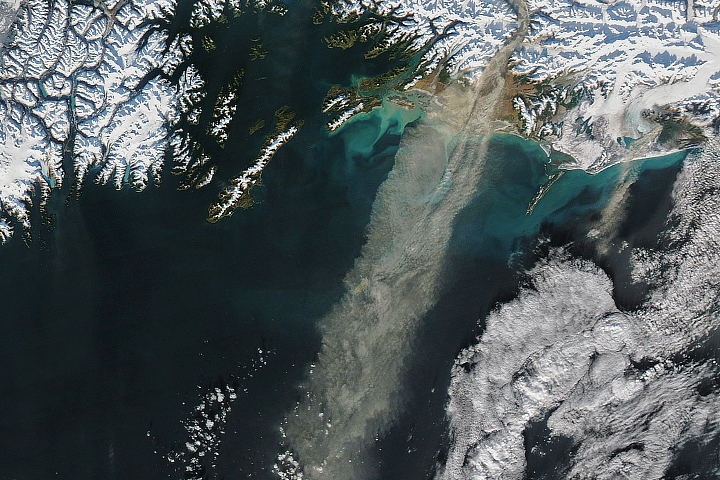 Previous research has shown that sulfur dioxide emissions in the United States have been steadily dropping. 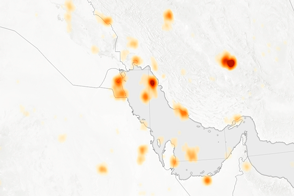 The maps above show regional views of sulfur dioxide emissions as observed by the Dutch-Finnish Ozone Monitoring Instrument (OMI) on NASA’s Aura spacecraft. 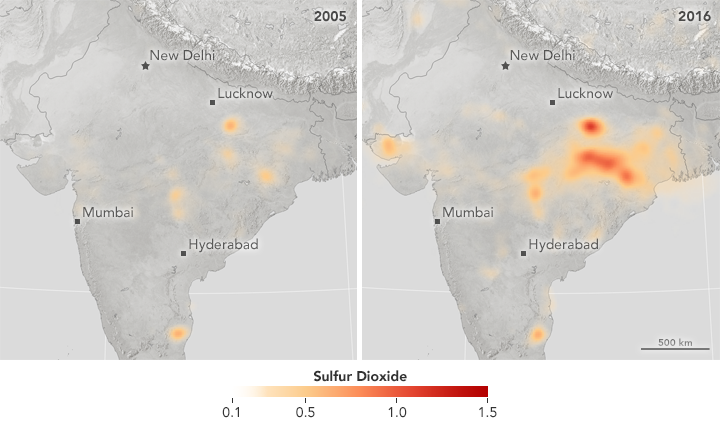 The values are yearly averages of sulfur dioxide concentrations over India and China in 2005 and 2016. The data come from the study that was published on November 9, 2017, in the journal Scientific Reports . China and India are now the world’s top consumers of coal, which typically contains up to 3 percent sulfur. Most of the sulfur dioxide emissions come from coal-fired power plants and coal-burning factories. In particular, Beijing suffers from severe haze problems because of the factories and power plants located nearby and upwind. Starting in the early 2000s, China began implementing policies such as fining polluters, setting emission reduction goals, and lowering emissions limits. According to the new study, these efforts are paying off. 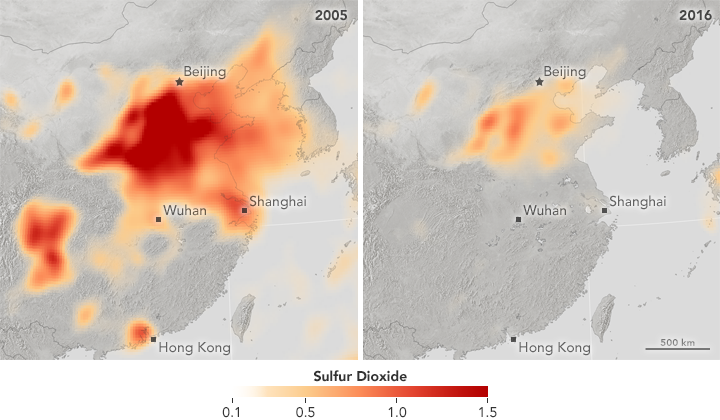 “Sulfur dioxide levels in China declined dramatically even though coal usage increased by approximately 50 percent and electricity generation grew by over 100 percent,” explained Li. 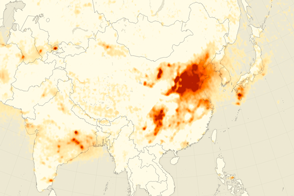 “This suggests that much of the reduction is coming from controlling emissions.” Previous studies, which relied on ground-based inventories and published policies, projected that China’s sulfur dioxide emissions would not fall to current levels until 2030 at the earliest. 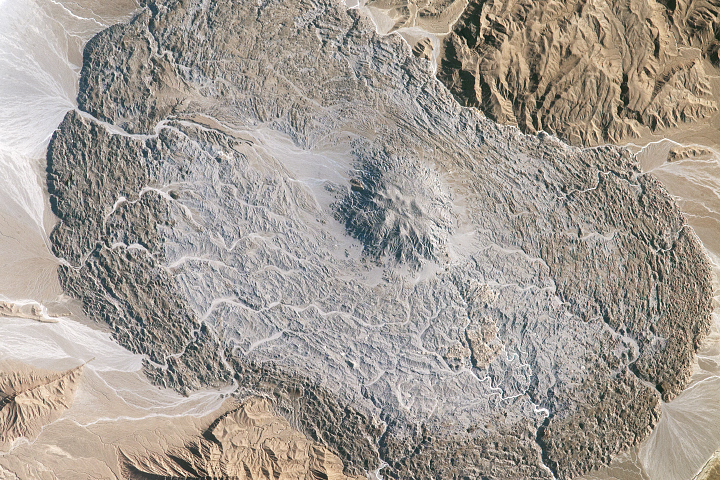 NASA Earth Observatory images by Jesse Allen, using OMI data courtesy of Chris McLinden (Environment Canada). 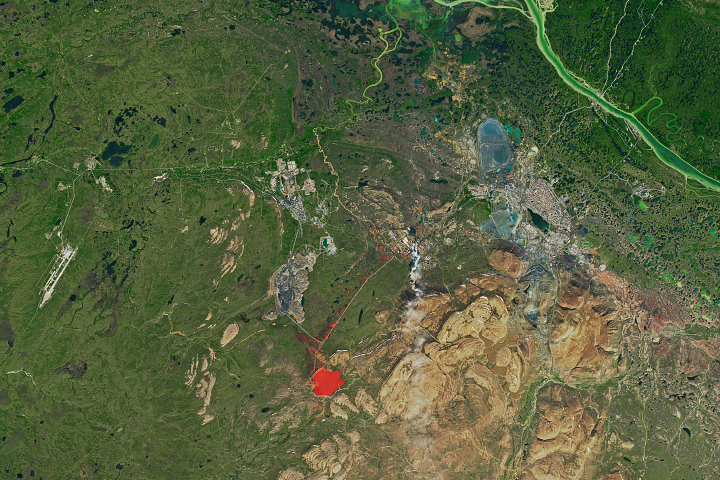 Story by Irene Ying (University of Maryland), with Mike Carlowicz (NASA Earth Observatory). Pollution controls can work even as coal-usage continues.